The link doesn't work. I would have save the extra $100 and gone with an Associated RC18. 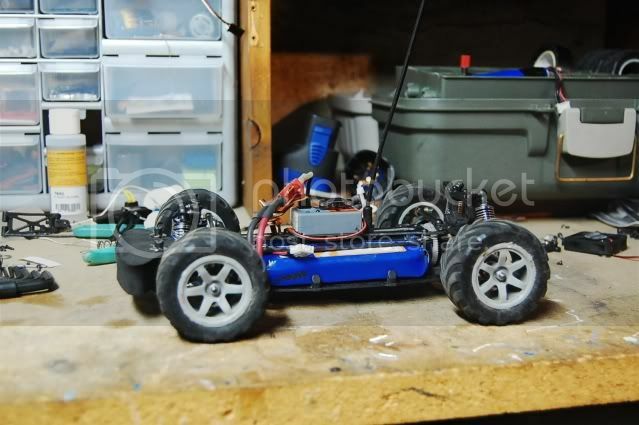 The aftermarket upgrade parts are more abundant and is overall a better quality R/C. That's just my opinion. Last edited by skylinedriver; 09-12-2008 at 05:59 AM..
how much did your car cost all together in the photo bucket link. i love my rc18 t there 170$ dollars new. "xmods are a poor man's mini z"
My build up is over a period of months and I'd say I have close to $400 to $450. That's a rough "guesstimate"